Gov. Dannel P. Malloy's commission reviewing the deadly Newtown school shooting is recommending universal background checks for all gun sales and transfers, the registration of all firearms and bans on high-capacity magazines and possession or sale of guns capable of firing more than 10 rounds of ammunition without reloading. The panel also believes Connecticut officials should consider requiring all K-12 classrooms to be equipped with doors that can be locked from the inside and hardware that's capable of implementing a full perimeter lockdown. Members also recommended that the state develop Threat and Risk Assessment Security Recommendations and a uniform process to create emergency response plans. Region 10 School District, which covers Burlington and Harwinton, already has a lot of the security features in place at their schools. "We were pleased to see that many of the things that were addressed we already have been doing and continue to do," Alan Beitman, superintendent of schools, said. "I think it's an excellent first step." Lewis Mills High School already has cameras, classroom door locks and reinforced glass. School officials hope state lawmakers consider cost when crafting new school security guidelines. "I just hope when the legislature gets the final report and the governor gets the final report, they take into consideration the expenses," Beitman said. 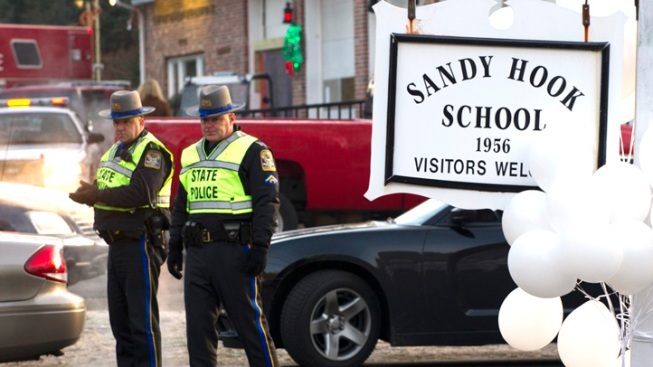 The Sandy Hook Advisory Commission submitted an interim report with 42 recommendations to Malloy on Monday. Chairman Scott Jackson said the group plans to continue its work, focusing on mental health services. Members expect to present a comprehensive final report within the year. "Each and every member is very much engaged in these issues," Terry Edelstein, a commission member, said. "We were very thoughtful in our considerations." The commission stated in the report that there are approximately 1.4 million registered firearms in the State of Connecticut and possibly up to 2 million unregistered firearms, due in part to “straw purchases” in which firearms are purchased and delivered to potential criminals. The community of Newtown was overwhelmed by gifts and donations people from all over the world sent after the school shooting and the commission is recommending that the state develop best practices information to manage donated supplies and materials and to get appropriate material to press. The group is also recommending a ban on all armor-piercing and incendiary bullets of any caliber.